Because the business world is becoming increasingly competitive and customer expectations are high, it is vital for your company to master innovation. Looking for new and innovative ideas will put your company ahead of your competitors who continue to do the same things year after year. Boat Planet is an example of a business that is stepping outside the box by incorporating all aspects of boating into one inclusive platform. 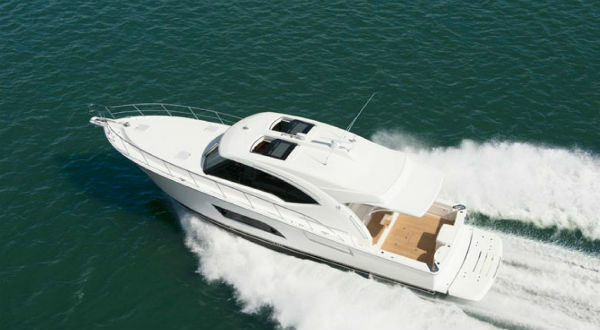 It is an “online community of passionate boaters and expert service providers”. Businesses in the boating industry will be able to share their unique, innovative and creative offerings with customers, boat owners, and other boating enthusiasts. The 2017 Innovation Awards for the boating industry were announced at the Annual International BoatBuilders’ Exhibition and Conference. Understanding and utilizing advanced technological developments will help you come up with new and innovative ideas on how to market your boating-related business. Using virtual-reality or taking people out in your boats can create memorable experiences for customers. This interactive activity helps those in the boating industry to sell their products and services by simulating the boating lifestyle. When you hold a boat show, obviously your desired end result is to make money selling boats or marine memberships. However, don’t overlook the importance of promoting your brand and building relationships. Creating a buzz about your boating event has a direct correlation with its success. Do whatever you can to spread the word online and offline. If you want to get people excited about your event, you have to give them a reason to be excited. Consider running a countdown photo contest on social media. Use unique and engaging images. If you have had a successful event in previous years, take advantage of word-of-mouth advertising by contacting those who attended your event. Ask them to share their stories, photographs, and memories in exchange for a discounted ticket or something else of value. Look at your existing network and business relationships to help you promote your show. Ask them to help share your social media posts to reach a much wider audience. Seeing is believing so make sure you have your boats on display at your boating events. You can showcase them on a trailer, or even better, put them in the water. Allow attendees at your show to take a tour of your latest boat models. For those boats on the water, offer to take them out on a free ride. Take lots of photos at your boating event. Focus on people having a great time and smiling either while on your boats or standing next to them. Ask attendees if they would like to have their picture taken. Collect email addresses so you can follow-up with links to the pictures tagged with their names on your social media. Use these photos to build out your photo gallery on your website and social networks. Encourage people to share the images with their social following to reach a larger market. Promotional items have a valuable place in business as marketing tools to help build awareness of your brand. People love purchasing souvenirs from their favorite vacation spots as a reminder of their trip. When deciding what promotional items you want to give out and when deciding what products you want to sell, think about any interesting or new trends in the boating industry. There are benefits associated with branded products. They serve as a reminder of your business to current and new customers. It also is a free form of advertising when others either wear or carry around your branded merchandise. Traditional marketing like TV, radio, print, and direct mail can certainly be effective methods of advertising your event, but they are also very costly. Take advantage of the viral effects of digital marketing. Methods like SEO, email marketing, and social media will help bring in new business and bring back current customers.